Obviously this new cake is greatly inspired by Red Ribbon's Black forest. But this time, with soft layered Chiffon covered with White Chocolate topped with luscious cherries gave this cake a new twist. 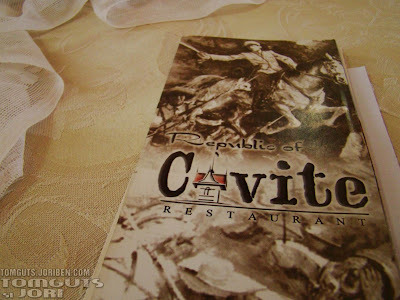 Bloggers are invited to have a taste of this new offering from Red Ribbon. Compared to Black Forest, physically White Forest looks pure because of its all white look, the softness of Chiffon is just right that it melts easy when it enters your mouth. The white chocolate's sweetness is perfectly combined with the cherry icing in between the layers of chiffon giving a very light sweet taste. 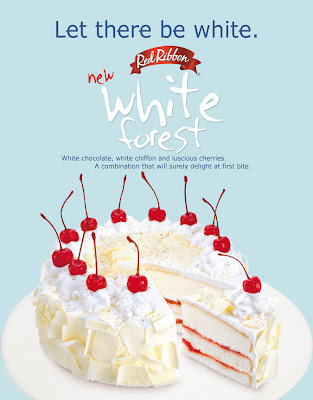 To all Red Ribbon Patrons, you should try White Forest which is already available in all Red Ribbon branches. Thanks to nomnomclub.com for the invite. Can you give me some? Sarap naman! Makabili nga niyan! Hehe!